"It's not just a book, it's hope". Parkinson’s Disease, a disorder of the central nervous system, affects 1 million people in America and 10 million worldwide. In Goodbye Parkinson’s, Hello life!, Alex Kerten presents his breakthrough holistic technique that combines dance therapy, behavior modification and martial arts to prove that there is life beyond the diagnosis of Parkinson’s Disease. With over 30 years experience working with PD patients, Alex shares his insights and techniques in an accessible style which includes 20 easy-to- follow exercises. Those who follow his techniques and are committed to becoming “Parkinson’s warriors” can succeed in eliminating many, if not most, of their symptoms to return to a productive and fulfilling life. Instead of viewing themselves as Parkinson’s victims, readers of Goodbye Parkinson’s, Hello life! will learn Alex’s methods that will lead them to become healthy people with Parkinson’s, enabling them to return to a productive and fulfilling life. Those who follow his techniques and are committed to becoming “Parkinson’s warriors” can succeed in eliminating many, if not most, of their symptoms to return to a productive and fulfilling life. 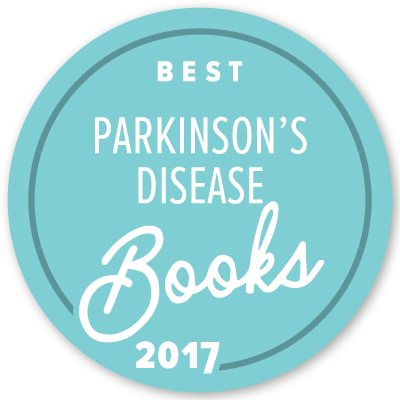 Instead of viewing themselves as Parkinson’s victims, readers of Goodbye Parkinson’s,Hello life! will learn Alex’s methods that will lead them to become healthy people with Parkinson’s, enabling them to return to a productive and fulfilling life. Those who follow his techniques and are committed to becoming “Parkinson’s warriors” can succeed in eliminating many, if not most, of their symptoms. Alex Kerten is founder and director of the Gyro-Kinetics Center in Herzliya, Israel. He has been researching anatomy and the physiology of behavior for over 30 years and treats clients with movement disorders, specializing in Parkinson’s disease. David Brinn is the managing editor of The Jerusalem Post, Israel’s leading English newspaper. A native of Portland, Maine, he lives in Ma’aleh Adumim with his wife Shelley. They have four children.